Western Digital, a market giant when it comes to storage, has just let the world know that it will be purchasing SanDisk Corp for a healthy 19 billion US dollars. The news comes after word was about that SanDisk was looking around for a buyer. According to the deal, SanDisk is valued at $86.5 per share which is 15% more than the company’s value at closing time from the previous day. Western Digital’s main products have been based on physical spinning disks i.e hard drives. Thus SanDisk can be looked upon as its polar opposite in that SanDisk’s products are based around flash storage. No doubt, flash storage is the way of the future however, despite excellent growth early on, SanDisk recently reported lackluster results that fell behind their expectations. 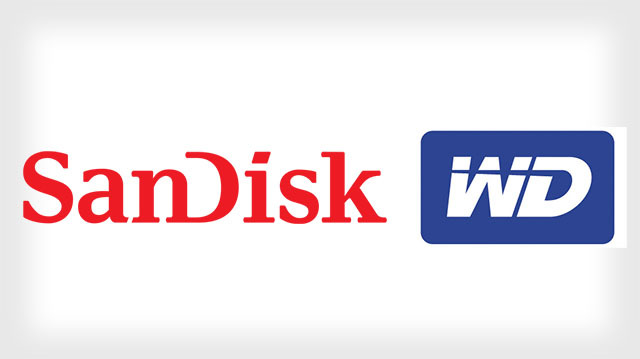 The acquisition of SanDisk is therefore a brilliant move by Western Digital as over time the latter has seen demand for its disk based products fall as the market has shifted focus towards non-disk based media. Sanjay Mehrotra, CEO of SanDisk, is expected to become a part of Western Digital’s board once the deal has been completed. Western Digital’s Steve Milligan will continue in in his role as CEO. At day’s end, we will see two giants of storage media join forces so the least we can expect is some killer storage options coming towards us soon. Maybe we will see 1 Terabyte memory cards at an affordable price now. Maybe.